Sisters share such a Super bond. Your sister is your first best close friend, she’s the one you had your first ever night stay with and she is the one you’ll miss the most once you’re married to someone. Oh, we don’t mean to make you go all senti but well, that is the fact. 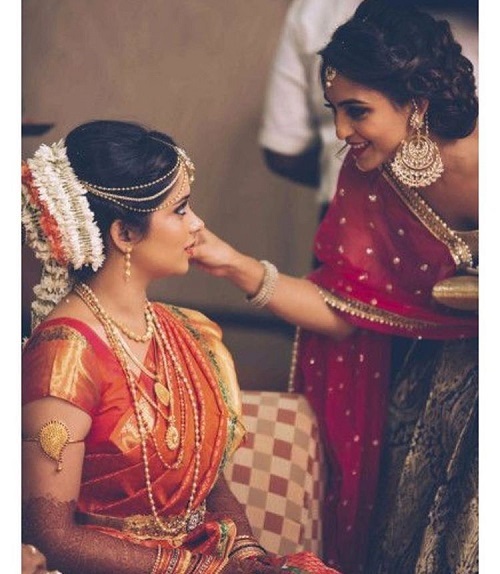 So, as you both prepare for the Dream day, here are a few absolutely gorgeous pictures to get with your sister at your wedding. It’s like a must. 1. A Giant big huggg! 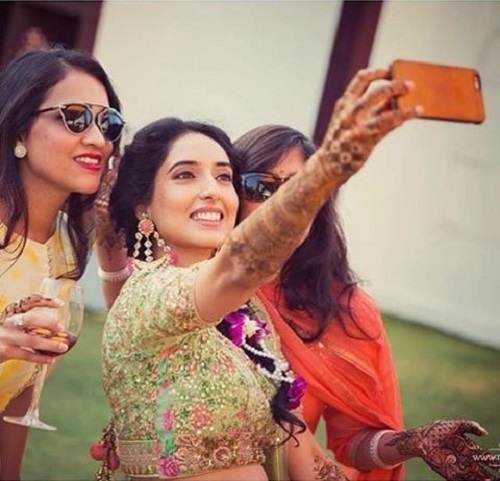 Don’t you want to capture that one moment when your sister or sisters are all huddled up next you to fit into the selfie?! There will never ever be a bride so beautiful other than our own sister. Who wouldn’t want a moment like this captured. Your sister in all her bridal finery and you fixing a jhumka, helping her with the shoe or just admiring her. Adorable, isn’t it?! 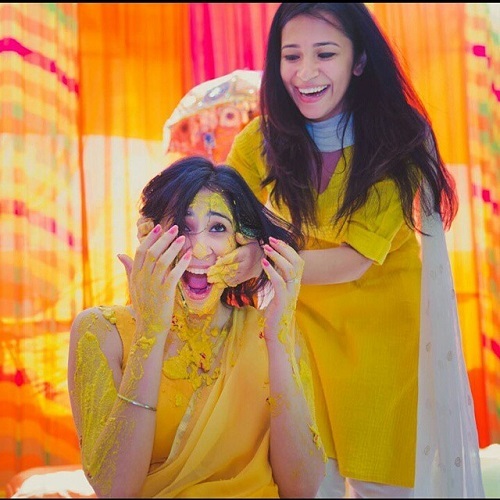 You need to have a great picture of the time your sister loads you up with all that haldi orubtan. A little resistance, a nice big smile, an expression of surprise or just the two of you having a gala time. Twirling with your partner in crime! 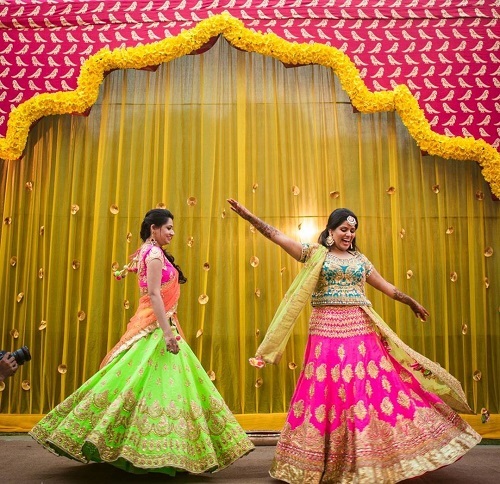 A shimmy, a shake or a twirl…bust a move with your sister for a picture you’ll remember forever! And ooh, we love the colours of this image. So vibrant! So many memories…so many moments…so many secrets to laugh back at. 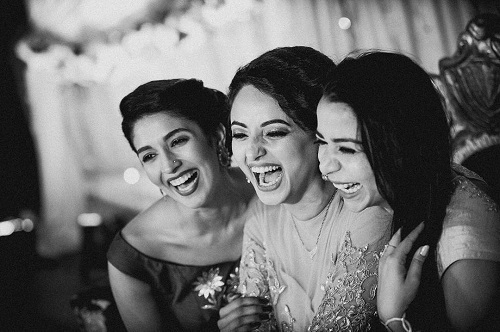 Laughing your heart out with the sister is a shot you’ll cherish forever. 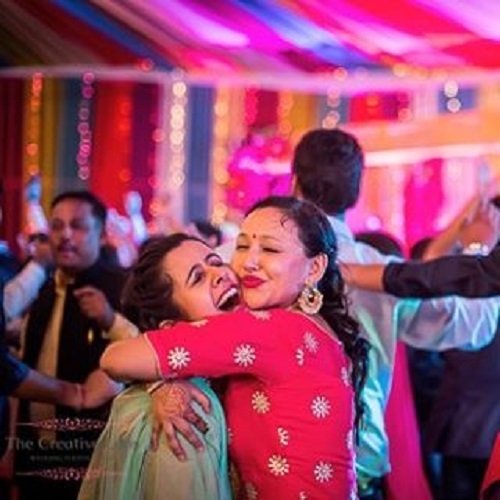 Make sure you ask your photographer to not miss this special candid moment.